Qualcomm has announced today that both its Snapdragon S2 and S3 chips now can use not only the 27 GPS satellites to narrow down your location, but also the Russian navigational system GLONASS and its 24 satellites. The upcoming Snapdragon S4 will also supports both systems. 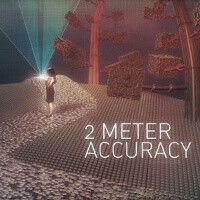 Now, this would make the whole process even more precise, down to 2 meter accuracy of your location. To understand why this is better we first have to go back to the way satellite location works. For GPS, you need at least 4 satellites to get your position right. Now, there are some areas where its hard to access satellites as something is in the way - think about a dense forest. In a very rare case like this, you might not be able to communicate with GPS satellites and that’s why having access to the Russian GLONASS might be beneficial. Having access to the GLONASS satellites though could be restricted by the carrier for some reason, so if that really matters for you, you’d better check before purchase. To make it perfectly clear, Qualcomm says that all devices with the S2, S3 and S4 chips will have support for the system. This will also add quicker fix on location. Check out all the benefits of having both of those on your Snapdragon-based device. And don’t forget to give it some time - often that’s all that’s needed for satellite location/navigation to work. Why is the 1.5GHZ Sanpdragon S3 Slower than the Exynos 1.2ghz ? Can somebody explain to me ? because the Snapdragon has a higher mhz rate, but is lower in everything else. Its like a 2500cc engine from toyota is worse than a 2000cc engine from Ferrari. because designing a chip it's not all about benchmarks. s3 is designed with all connectivity options in mind, namely true 4g LTE. majority of manufacturers use snapdragon, while only a handful put exynos in their phones. 27 satellites? I wonder how many satellites are out there?